When you have to give a speech you might be slightly nervous about taking questions. But the reality is very different. That’s because when your audience asks you questions, it’s a sure sign that they are really engaged with your speech. They want to know more. And, importantly, they want you to substantiate your key points. Yes, it’s your opportunity to hit those key points another time. So you really should welcome questions from your audience members. Therefore, to help you when you are ready to prepare for questions, here are several key pointers to help you with the task. Be ready and focus on the question and the questioner. If you don’t know the answer to the question, then say so. Because it’s not a problem. When you know the answer, but it’s not coming…then play for time…and then it will come! 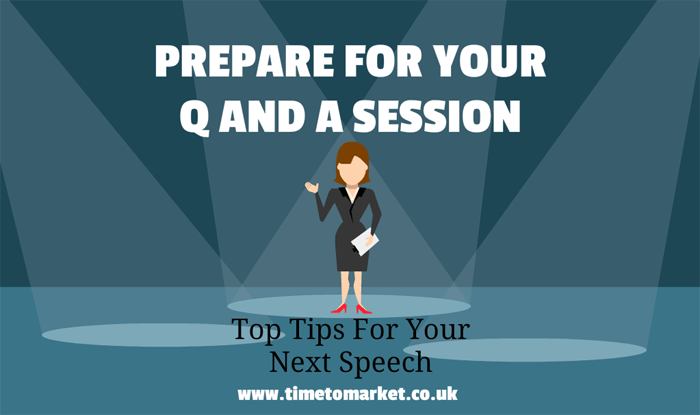 Your audience will expect questions and answers within your speech. So, it’s vital that you prepare for questions. Because you don’t want to disappoint them with something so simple.